After watching Hoarding being buried alive on tv, I decided that I HAD to declutter my house as I know the stuff will be chucked when I die. Mentally – In my head I know that I will have yo get rid of stuff I have accumulated over the years, but it is so overwhelming that my head hurts. 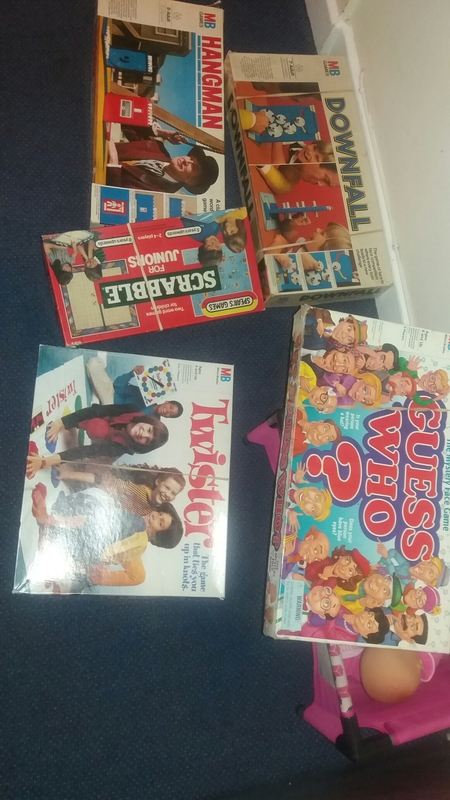 Today it’s my old toys and board games. Emotionally I had prepared myself for the detatchnent, but in the end I couldn’t get rid of a few of them. Will have to reset my goal to clear out the ‘messy’ room.